In March, Republican Rick Saccone lost a special election to Democrat Conor Lamb in Pennsylvania, another district that voted solidly for Trump. Both Ohio and Pennsylvania represent the new coalition of Trump voters: Rust Belt states that were expected to swing blue in 2016 but in fact went for the unorthodox billionaire who promised to "Make America Great Again." So why, two years later, is the GOP having so much trouble connecting with these people? Is it Trump? The party establishment? Ohio Gov. John Kasich said Balderson's weak showing was a referendum on the president. "(V)oters here sent a message to the Republicans to knock it off," Kasich told CBS News last week. "Stop the chaos, the division, no more of this family separation that we see at the border or taking people's health care away. I think that have -- basically have had enough and they're sending a message to the Republicans, including the Republican in the White House. ... This district is so Republican, there should never even have been an election here. And it was so close and -- in one of the counties that's so solidly Republican -- where a Republican would normally win by 70 percent, it broke basically 50-50." But Kasich, who hasn't yet ruled out a run for president in 2020, has got the wrong end of the stick. The GOP's problem isn't its president. The problem is its message. Trump is the sun around which the solar system of American politics operates. You can't outshine him. And his base is solid. 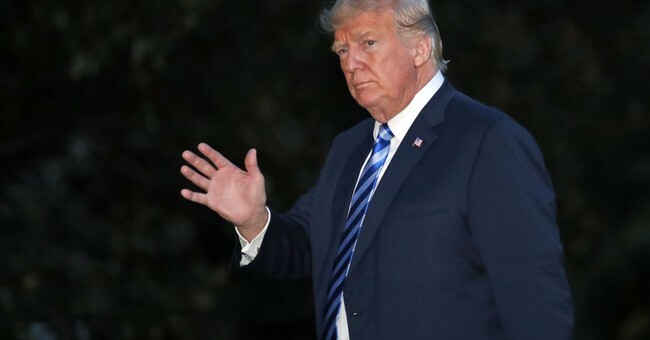 An August survey of validated Trump voters conducted by the Pew American Trends Panel showed that a vast majority of those who supported him in 2016 still hold fond feelings for him and his presidency. The survey said that 82 percent of those who voted for Trump said they still felt "warmly" toward him as of March, with 62 percent saying they had "very warm" feelings toward him. Democratic candidates arguably have an easier sell in that they can freely oppose Trump to rally their base. Republicans, meanwhile, can't just be pro-Trump. They need to thread the needle, reach out to people from educated and upscale suburbs who are possibly put off by the president's rhetoric while continuing to embrace his new populist coalition of blue-collar and non-regular GOP voters. But Dave Myhal, an Ohio-based Republican strategist who lives in Columbus, says bringing together regular Republicans and the irregular populist voter shouldn't be that complicated. The key isn't national issues. It's local ones. Infrastructure projects, like bridges and roads and sewer systems, are important to everyone. Addressing how to keep young people in the area appeals to both suburban and rural parents. So does the issue of creating jobs or expanding broadband for rural kids who want to work in farming or manufacturing or small businesses. "That my party didn't learn how to reach their voters from the Conor Lamb defeat and continued the same practices kind of proves they still don't get it," said Myhal. He says both Saccone and Balderson should have stolen "a page out of Danny O'Connor and Conor Lamb's playbook and run on local issues -- both men did a really good job of doing that." John Lapp, a Washington-based Democratic strategist, agrees. "For Republicans to have to spend over $4 million to hold a ruby-red House district certainly is a harbinger for their challenge to appeal to voters this fall," he said. House special elections don't usually predict a party's fate in the midterms. The Democrats lost all their special elections leading up to the 2006 midterms only to flip the House by 30 seats; four years later, the Republicans lost all their special elections going into the 2010 midterms and went on to trounce the Democrats by winning back 63 seats. "People make way too much out of special elections. It's kind of like preseason football -- it's a good way to work out the kinks of an organization -- but has nothing to do with the regular season," said Lapp. But it's a crucial time to start learning some very important lessons before the 2018 midterms. Keeping it local is the way you bring the regular Republican suburban voter and the new Trump voter together. It keeps the electorate on the same page and the candidates' message laser-focused, said Myhal. "It is their common denominator," he said. To identify with your voters is to be present with your voters. Every Republican House candidate running should be on the ground in their district, discussing local issues and refusing national cookie-cutter ads made by people who have never set foot on their Main Street. Whether it's the suburban mom or the blue-collar worker, voters will be willing to listen and connect with a candidate who makes them feel part of their community -- and part of something bigger than themselves. That's why Trump won in 2016 and forged his coalition in the first place.